Central Information Commission has pulled up Bar Council of India for not having complied with Mandatory RTI requirements. 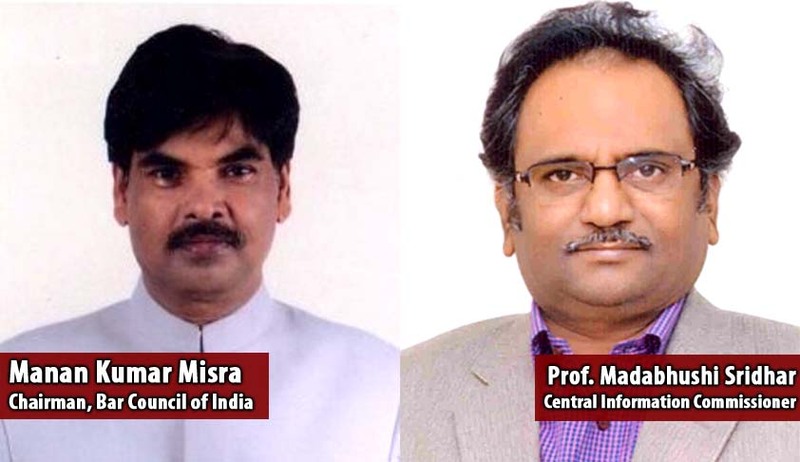 Information commissioner Professor Madabhushi Sridhar has directed the BCI Chairman to explain when they would be complying with 4(1) (b) on their official website. Section 4 (1) (b) of the RTI Act states that every public authority shall maintain 17 specified categories of updated information about the working of the organisation which should be posted on its web site as well as in public domain through other methods. Every public authority is required to comply with this mandatory requirement. Commission then directed the BCI to furnish annual report in compliance with 4(1) (b), as required under section 19(8) (a) (VI) and directs the PIO to show cause why maximum penalty should not be imposed for this breach of RTI. Commission also directed the Chairman, BCI to file an affidavit explaining when they would be complying with 4(1) (b) on their official website. The commission said that all the responses should reach the commission by May 9, 2016, else it will be compelled to initiate appropriate action against the Chairman, BCI for noncompliance of section 4(1) (b).